Is the Pentax W80 good for Sports Photography? Pentax W80 has a score of 18 for Sports Photography which makes it a POOR candidate for this type of photography. If Sports Photography is important for you, we strongly recommend you to consider the Alternative cameras listed at the bottom of this page. 140 mm reach is not going to be adequate in some sports events. 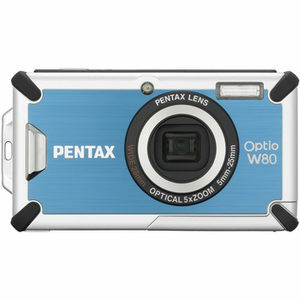 Pentax W80\s compact body is not very ideal for sports photography as it lacks the external dials and knobs to change the camera settings fast and the ergonomics doesn't help you to have the most stable shooting position. Even though modern digital cameras features advanced algorithms to calculate the right exposure, they still may fail some difficult conditions. Lack of manual exposure mode in these conditions means lot of shadow and highlight clipping.